. :: SDTF International Removals and Worldwide Movers :: Moving In and Out of South Africa ::. We will arrange for a moving consultant to visit your home and assess your upcoming move. Our staff will discuss the moving process in detail with you, provide you with advice, guidance and answer any questions you might have. Please contact us for a free estimate/survey and advice/quotation without any obligation. Having assessed the move we will provide you with a competitive rate/quote with no hidden cost or surprises. Our packing crew can take care of every item they encounter from most fragile crystal to a baby grand piano. As packing is a craft that requires skill and lots of attention to detail, we are supported by extensive range of packing materials and if the job demands custom-built boxes and crates can be made at the client residence as well. The teams are well trained and skilled in practical packing procedures. The operational team stays close to your shipment from pick-up to final delivery at the next destination country, keeping you closely informed of its progress ensuring that your shipment reaches the destination with utmost care. With their restless support, we are able to service many clients with pride. We ensure that your shipment is routed to its final destination efficiently and cost effectively as we do not operate on sheer volume. Every shipment is an individualized experience. 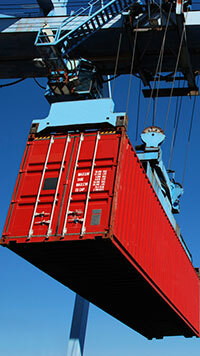 Constant attention to expediting your shipment is our responsibility. Our networking teams are able to assist with customs clearance at all major South African seaports and airports, handling and dealing with all types of cargo from personal effects to commercial cargos from military to government projects. We will provide full transportation and delivery from the port to final address or full destination service for personal effects to your door once cargo or shipment has been cleared through customs. We handle and delivery your transit cargo or shipment to most SADC countries and beyond. We can provide a complete international standard of origin service (packing, wrapping, crating and loading into container) export documentation and freight booking up to your destination ports. Having trouble planning the move? Click here for a quick checklist.